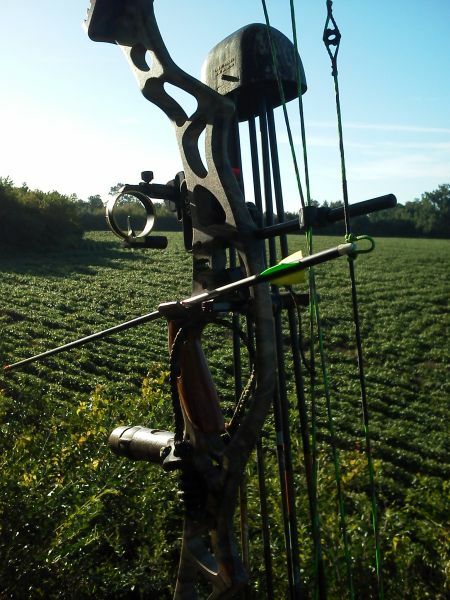 Well, just 53 days and counting before Bow Season begins....but who's counting? I sure am!!!!! I haven't been out scouting very much what little I have done, the deer are locked in their summer patterns and are easy to find early mornings and late afternoons. Let's see some views from your favorite stand locations! Here is one that I have a lot of success from with easy access. Last year it was covered in beans.....this year peanuts. There's nothing like peanut butter flavored venison.....lol!